Promise MATCH Online Giving Event – ONE day only! Donate right here on our web page on or before Thursday, March 21 and your funds will be matched by West Bend Mutual Insurance and the Prescott Family Foundation. Our goal is $55,000 to help the families and individuals right here in our program and in your community! May the course be with you on Saturday, May 4th as you help us celebrate our 10th Annual Golf Outing. All proceeds help the individuals and families in our program at both of our locations, the Promise Center and Karl’s Place. Our Grand Prize is a possible $10,000 if you can make a Hole in One! 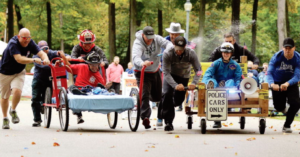 Join us for our 3rd annual Bed Race during the Washington County Fair on Wednesday, July 24 at the fair grounds. 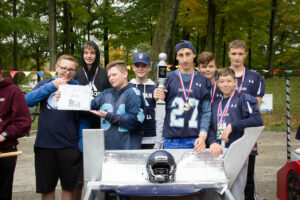 See if you can tackle the coveted traveling trophy away from the West Bend West High School Spartans Football Team as they are the reigning champs from our 2018 race. *Print on 8″ x 14″ Paper – Set to Print on Both Sides.